Lush, lavish and spectacularly chic, this gorgeous contemporary bouquet of red roses in a gorgeous white wrapping paper makes an exciting gift for almost anyone. For classic romance, red roses are always the perfect choice. 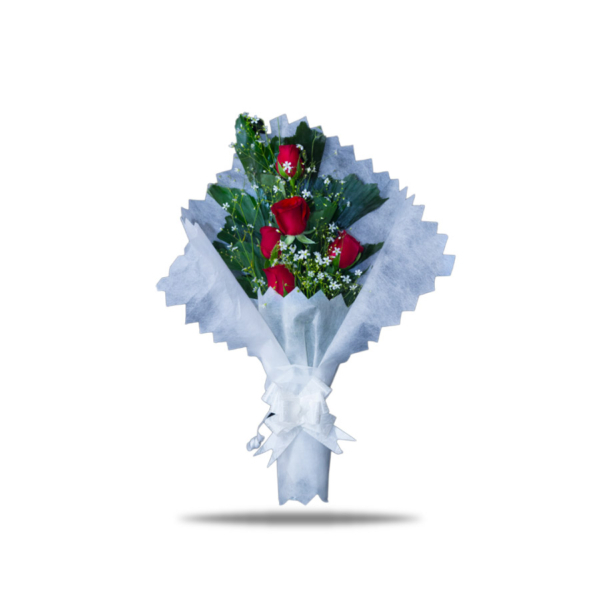 The elegant bouquet features five fresh hot red roses accented with assorted greenery which is delivered in a white fibrous wrapping paper tied with a white satin ribbon. Wouldn’t you love for someone to send it to you? 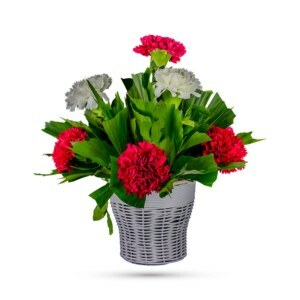 This explosion of love, along with red roses, adds just the right spark for an anniversary, birthday or a romantic date out. 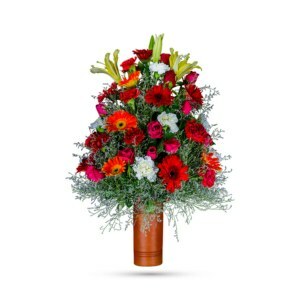 This luscious arrangement is almost too pretty for words. 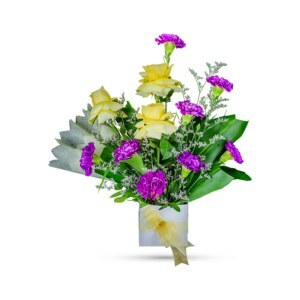 But you’ll hear many words of praise and love for sending it, especially after getting it hand-delivered. 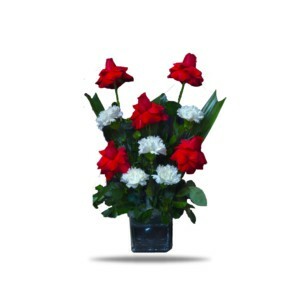 So, order online via our website today and share the intimate bond of love with your Soul Mate.